Halewoods long term strategic partner school, All Saints Catholic High School, is celebrating success. That’s a 23% increase in these subjects! And that’s not all, BTEC Engineering results were once again up at 78.6% and Product Design at 84.6 % A*-C. Sixth Form students excelled with a 100% pass rate at both BTEC and A-Level. Thank you to all colleagues who helped to inspire the next generation, including Alastair Miatt, who spent lots of time supporting the school. Thank you also to Dave Parry and Iain Macdonald who managed the interventions. 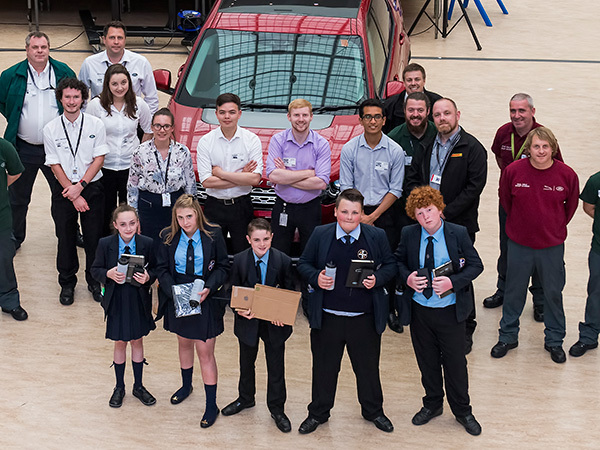 And thank you to Land Rover Experience Halewood and the Halewood Education Centre team for their ongoing support.